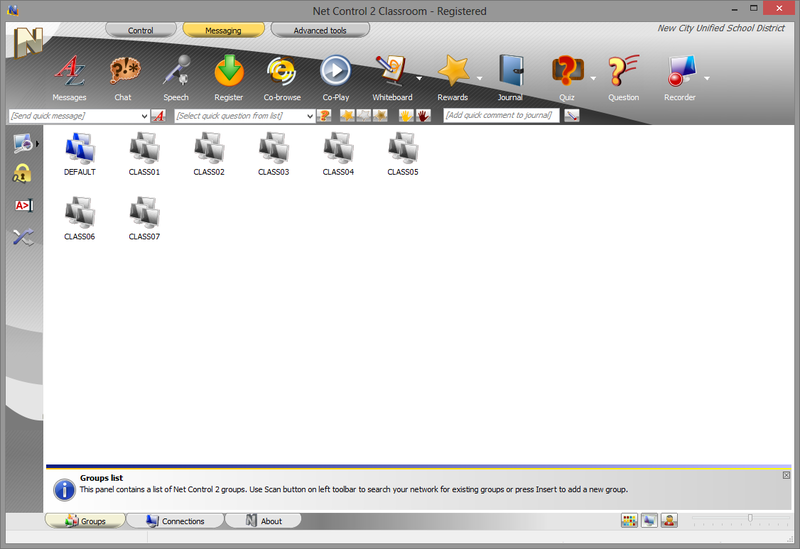 Net Control 2 - Classroom. 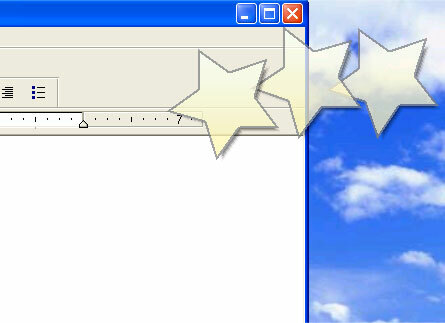 Basic Mode - Thumbnail View. 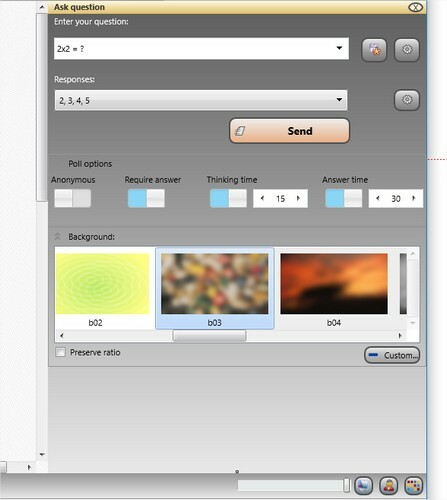 Advanced Mode - Thumbnail View. The workspace may be easily adapted to any size classrooms. 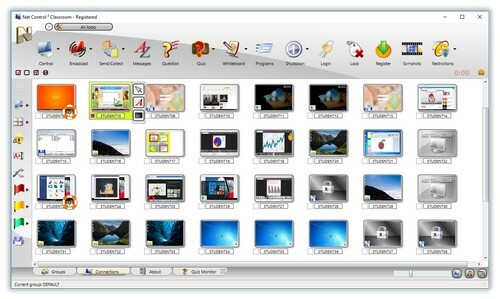 Custom layout of student computer thumbnails, custom background. 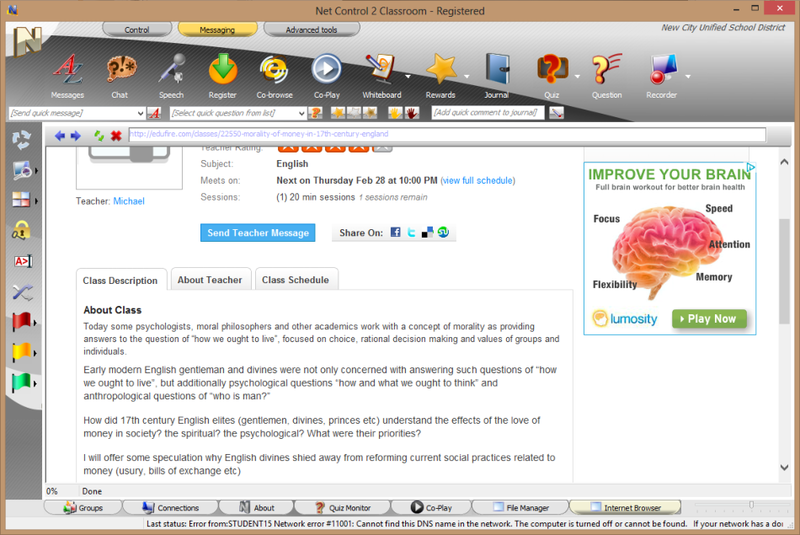 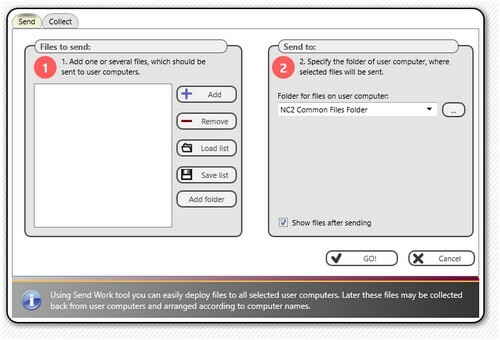 A detailed information window appears on the screen, when you are moving the mouse cursor over a student connection. 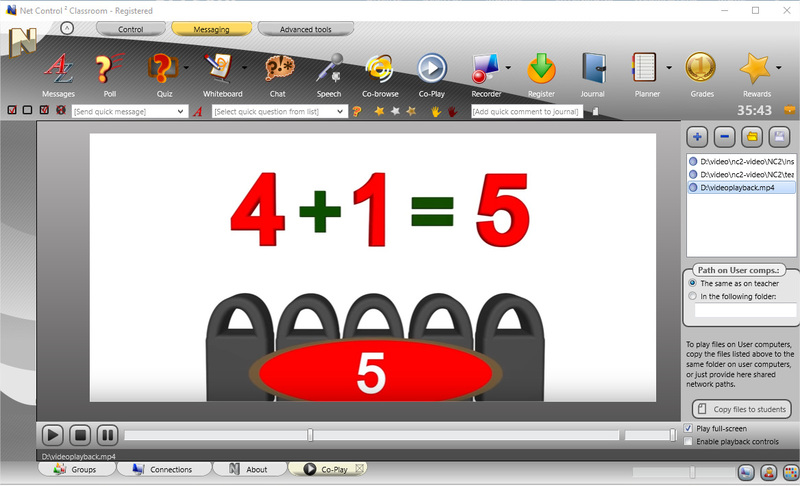 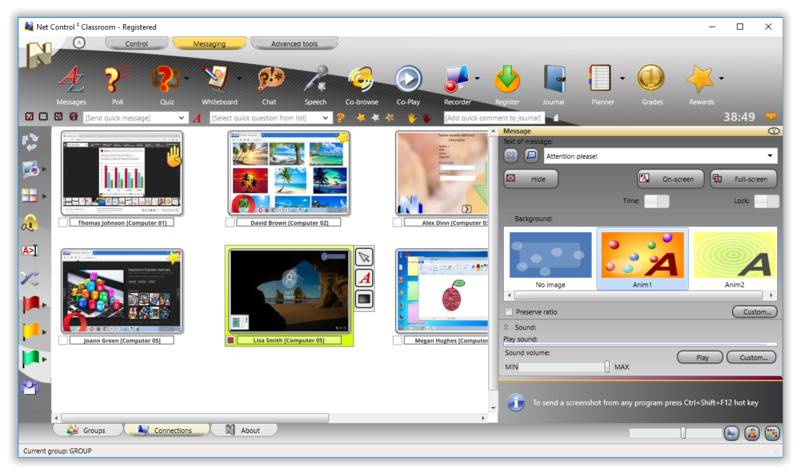 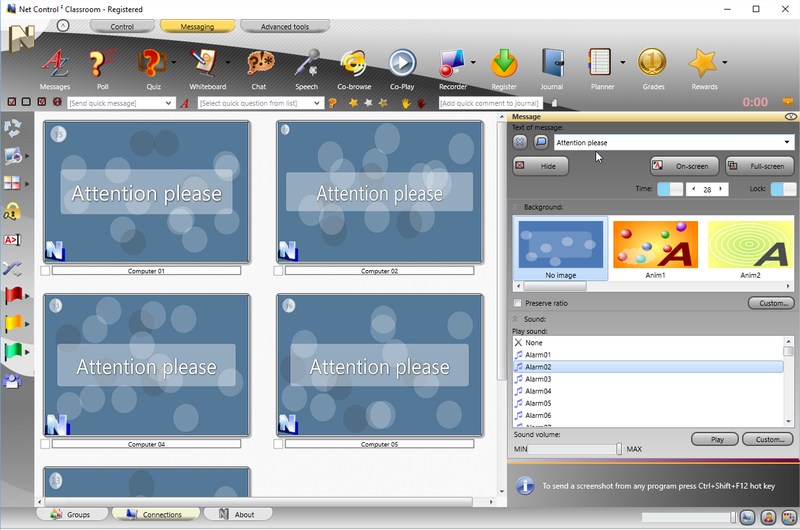 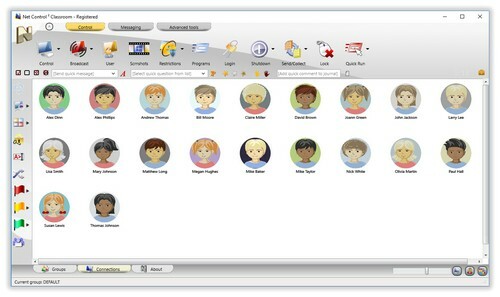 The teacher module includes a built-in editor to create avatars for student connections. 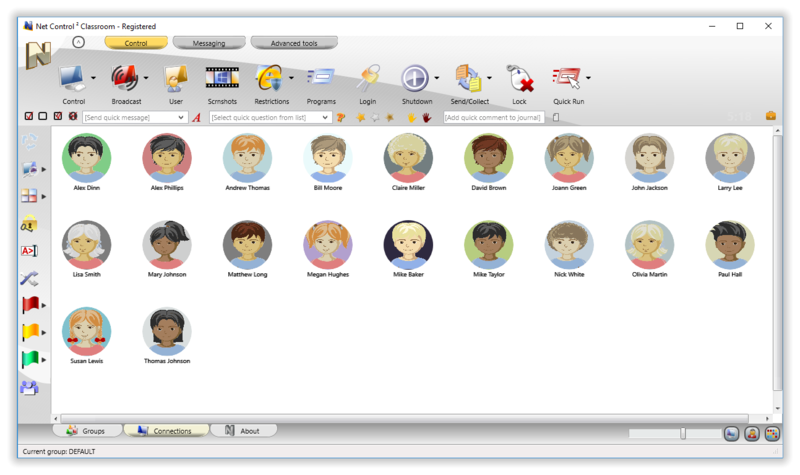 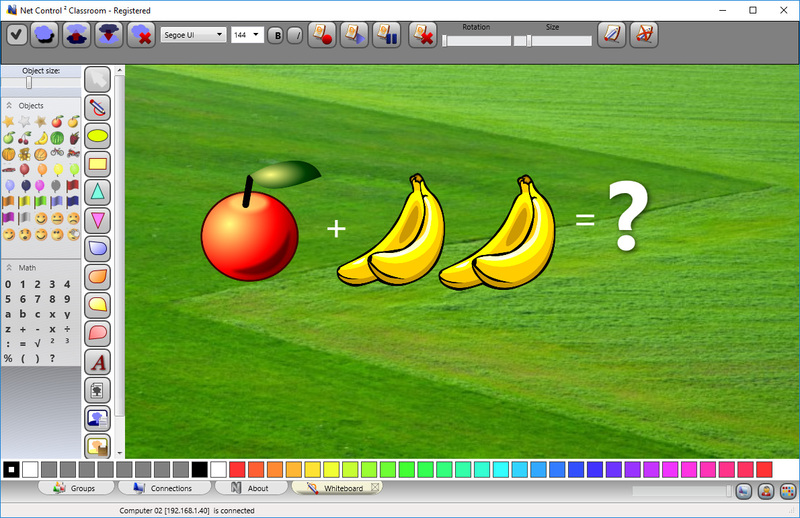 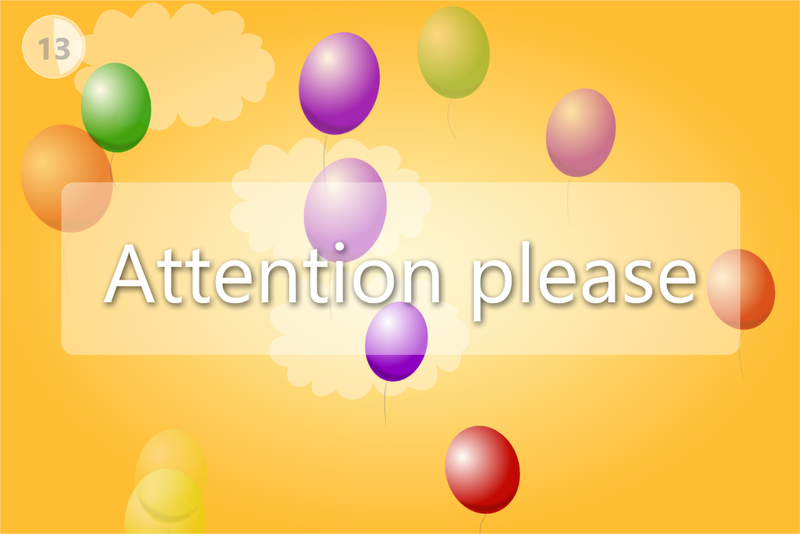 It is possible to use custom images or photos for avatars. 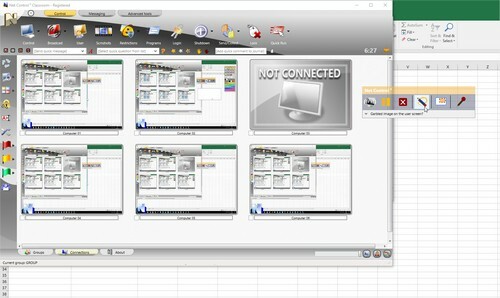 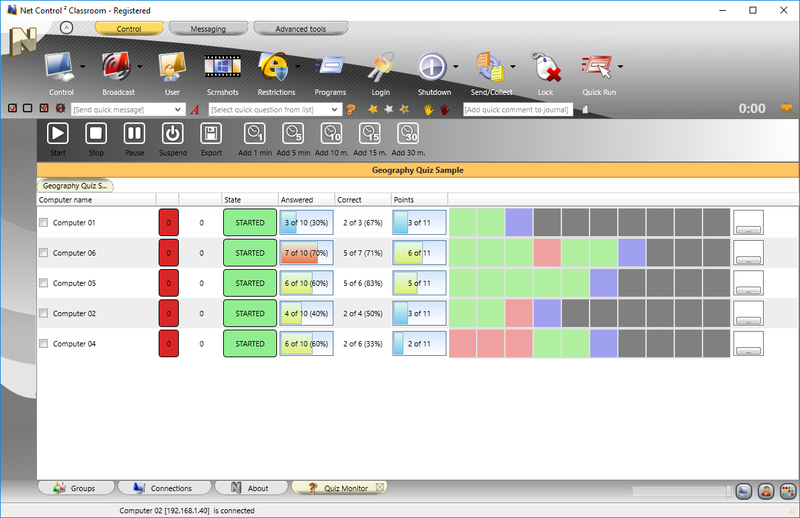 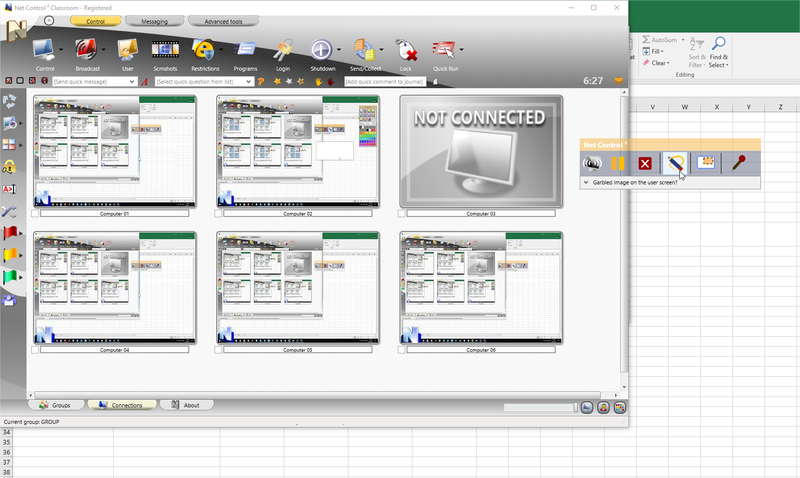 One, 4, 16 or 64 snapshots are displayed on the screen simultaneously, automatically switching to a next group of connections after some time interval. 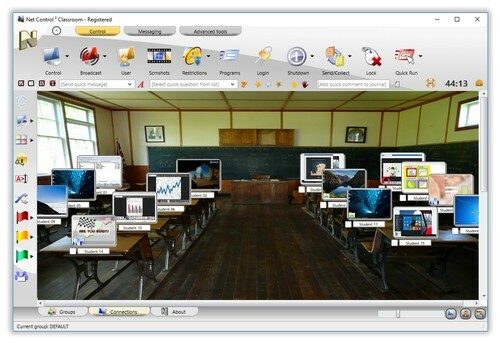 The teacher is showing his/her screen to selected students. Teachers can use annotations on the screen in realtime, customize area of broadcasting. 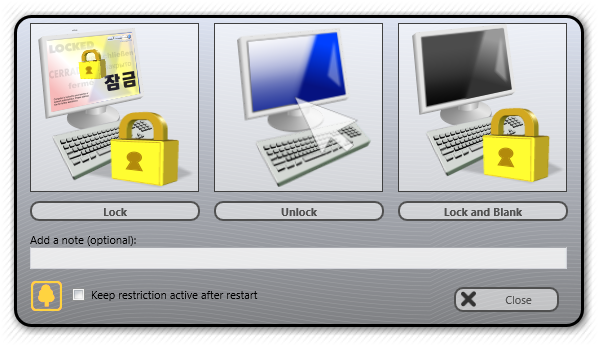 Apply various restrictions to student computers. 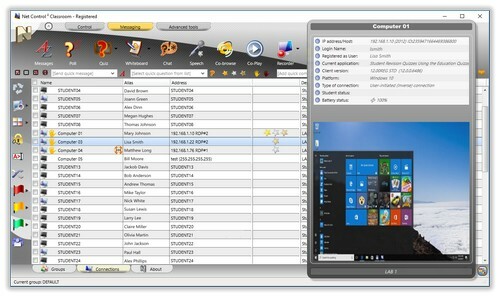 on student computers in a click. 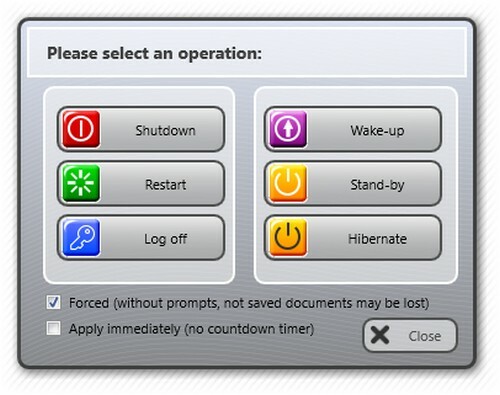 turn computers on and off, restart, log users off, switch power modes. 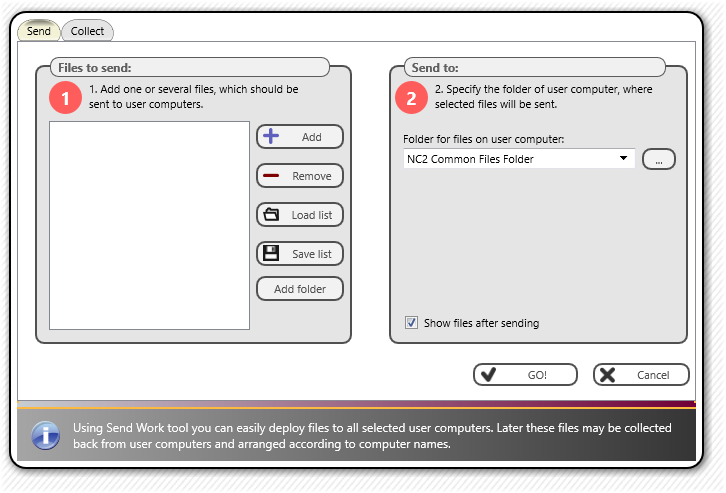 Send files from a teacher computer in a click and collect them back from student computers with automatic arranging by a student computer name. 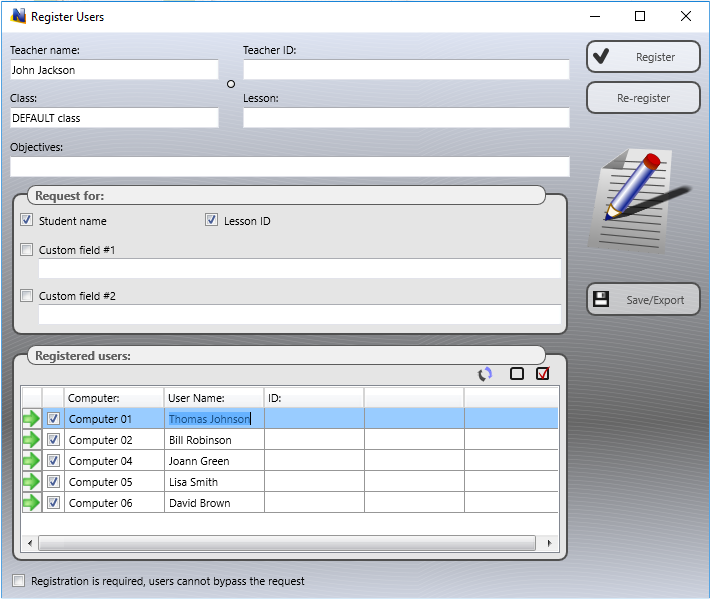 Teacher can block student computers temporarily to maintain the classroom discipline. when it is locked by a teacher. 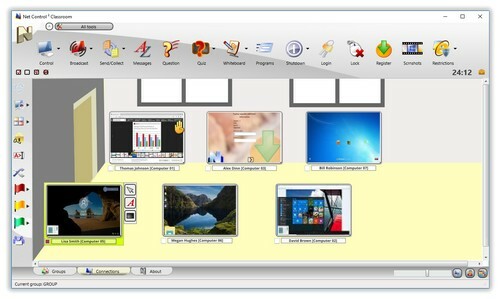 to student computers in a click. 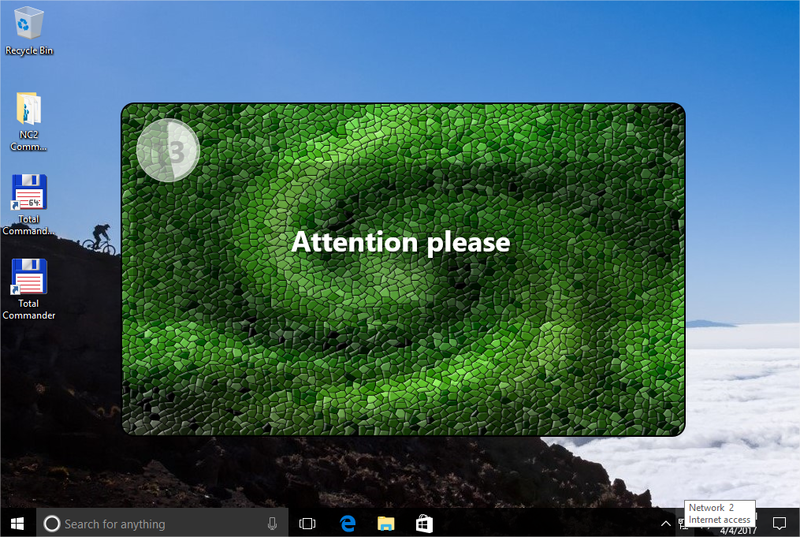 displayed on a student computer. 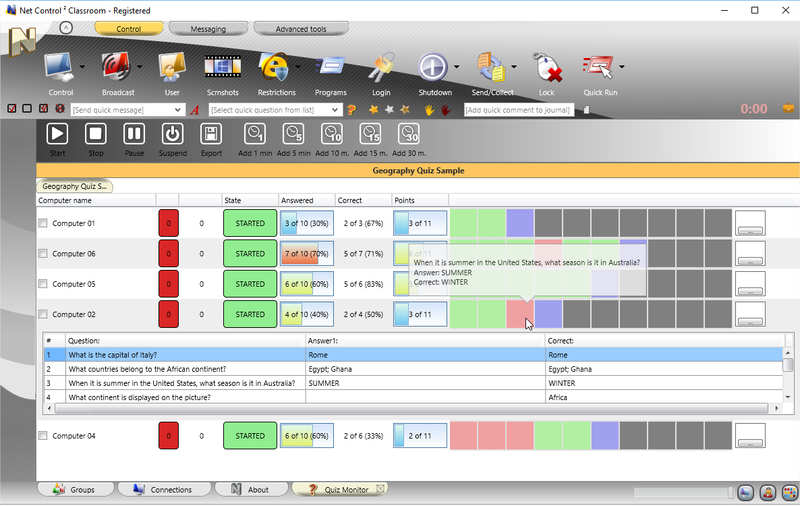 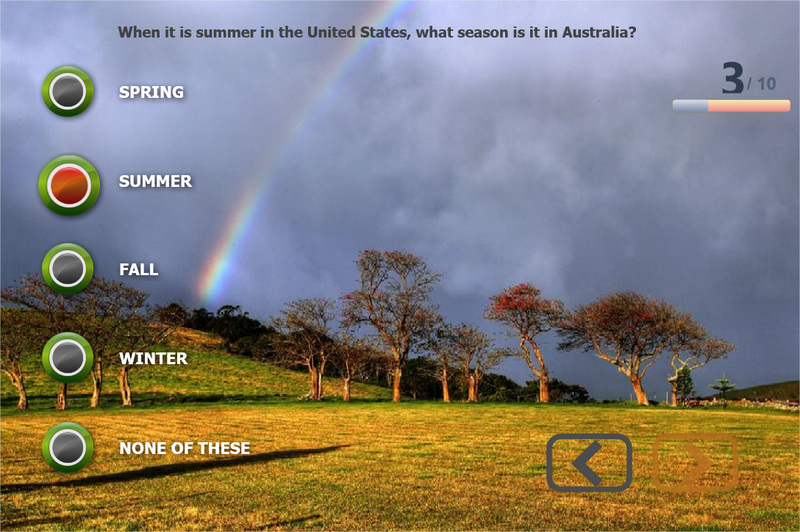 Allows performing quick polls and ask questions in a few clicks. tool is displayed on a student computer. 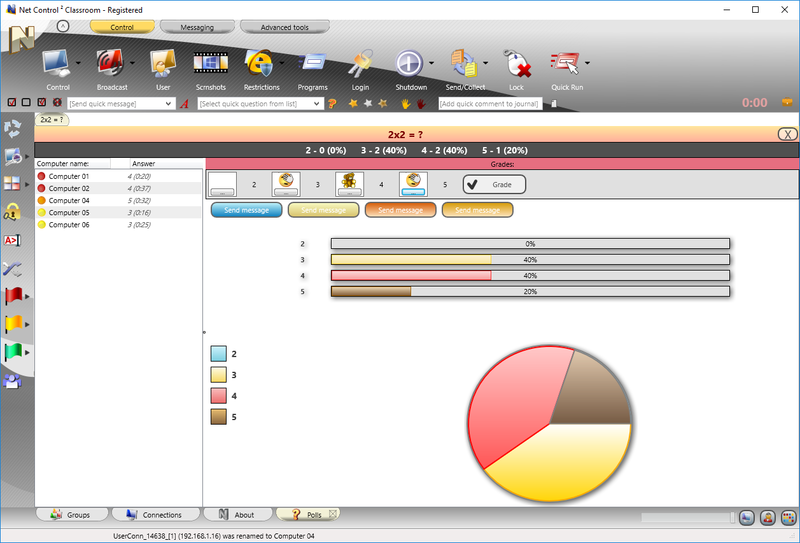 Results of a poll are displayed on the teacher computer. 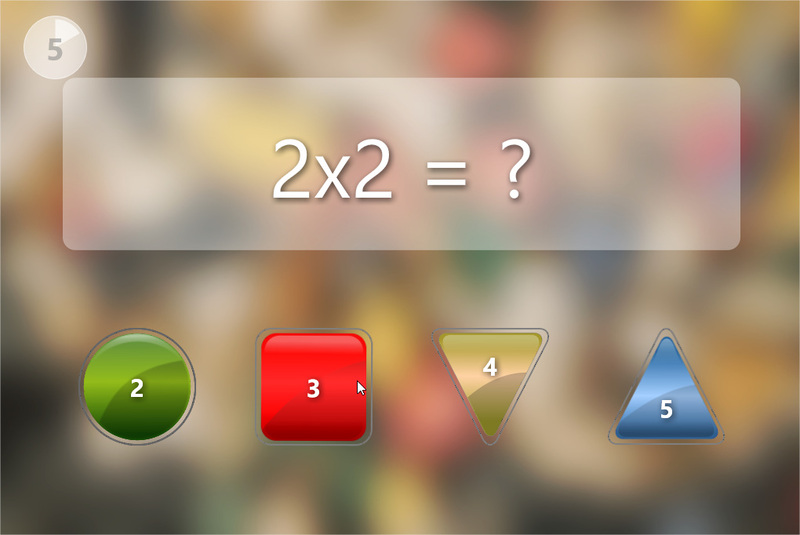 Students are arranged by their answers and time of answer. Teacher can grade students or send them messages by answer groups. 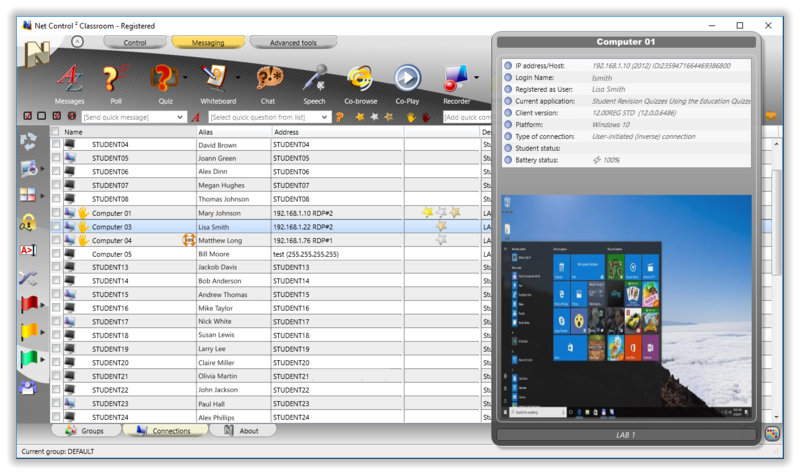 on student computers in realtime. Detailed statistics per each student is available at any moment in a click. 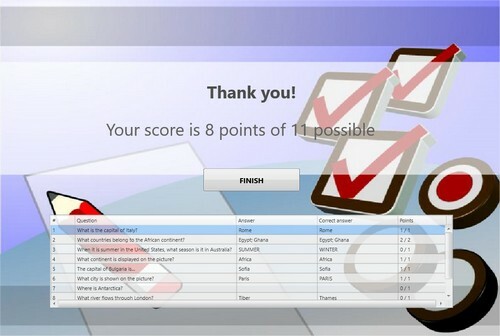 A quiz question is displayed on a student computer. Optionally, quiz results and statistics may be displayed on student computers after the quiz completion. With Whiteboard tool teachers can share any text and graphic information with students. 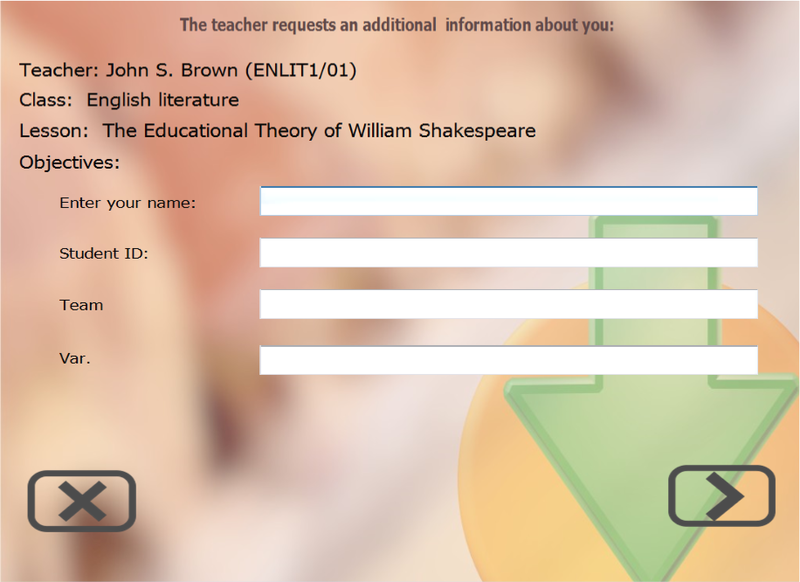 Using this tool a teacher can request additional information from students. 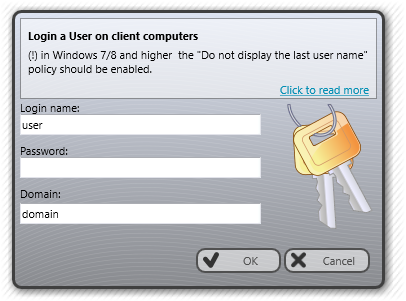 displayed on a client computer. 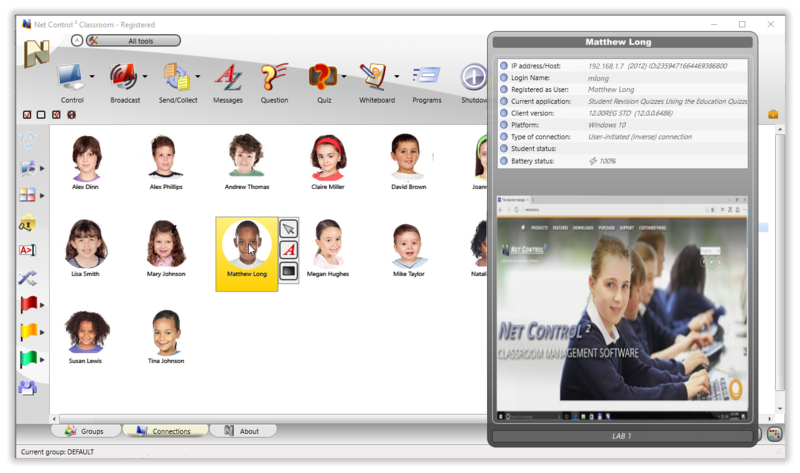 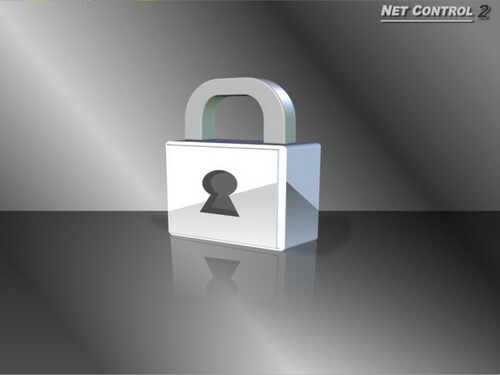 Net Control 2 is classroom management software for effective teaching and network monitoring in your school, college, library, university or k-12 education. 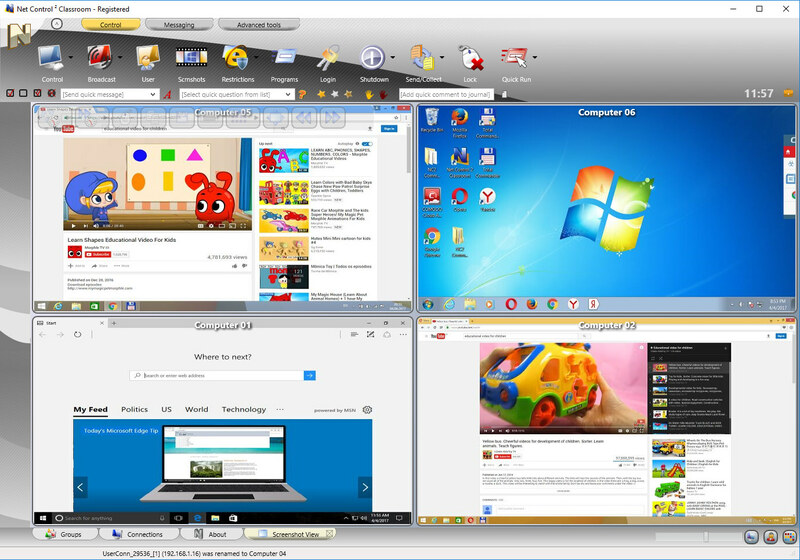 Provides various features for classroom monitoring, teaching in networked classrooms. Copyright © 2019 Net Software P.C.. All rights reserved.